With the holidays officially over and the New Year off to a rather frigid start, I share with you the last project on my Christmas list this year. Late last month, I posted a tutorial for Sports Inspired TV Trays which have turned out to be a popular item among family and friends. The beauty of restyling these tables are the limitless possibilities. These tables are neutral and relatively easy to work with. 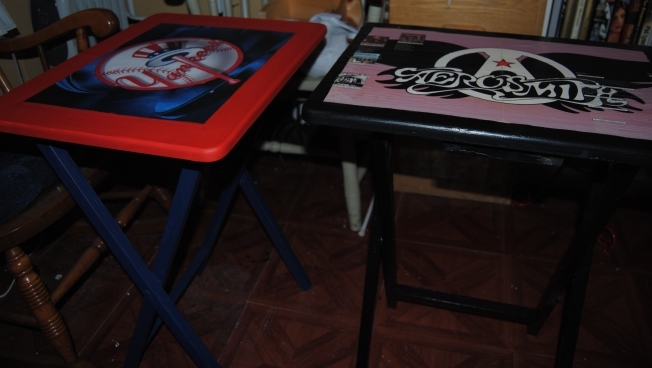 One of my upcycled gift recipients is not big on sports, so I thought she might like to have a TV table, but with an alternate theme. 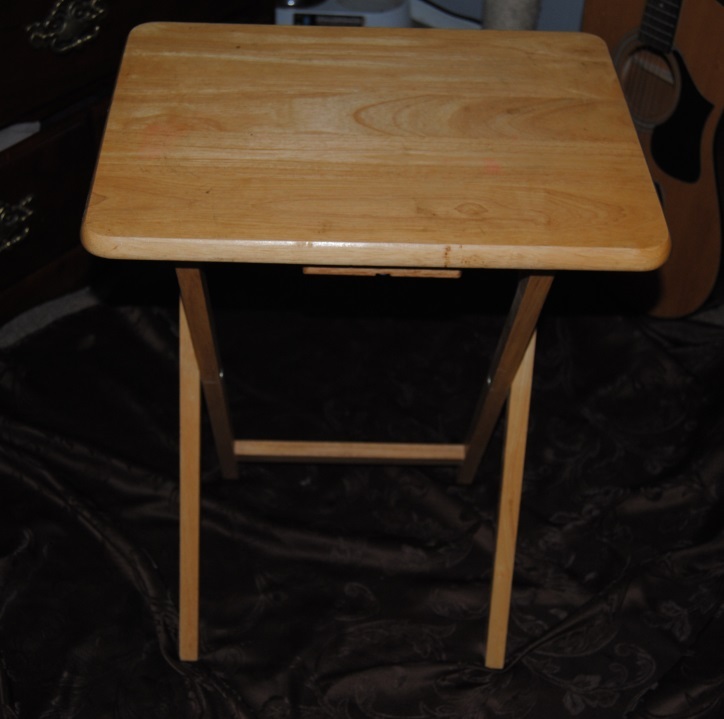 A while back, I created a table from an old record, and a plant stand. I used Aerosmith’s greatest hits record. The record was not in playable shape, so I decided to recycle the LP and use it for a upcycle project. 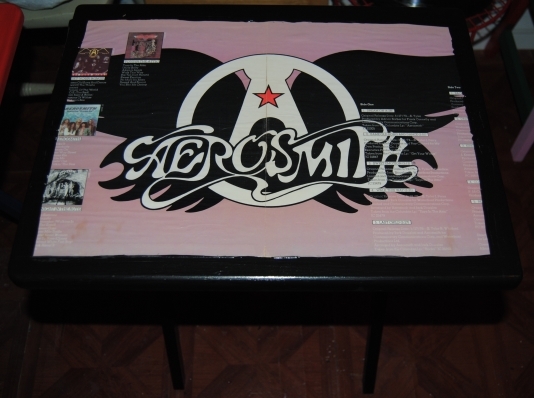 The family member receiving the gift is a huge Aerosmith fan, and I decided to use the album cover and decoupage it to the table top. Upon further inspection, the cover was in pretty rough shape, so in the end I decided not to use it. The liner notes; however were in great shape, and a colorful purple with the Aerosmith winged symbol in the middle. This seemed perfect for decoupage while incorporating something she and I hold close to our hearts~ records. I have a collection too, mostly stocked through bargain bins. It is not always easy to tell if a record is playable before purchase, and every so often you wind up purchasing a damaged record. Not only can you reuse the record itself, but the artwork is perfect for decoupage. 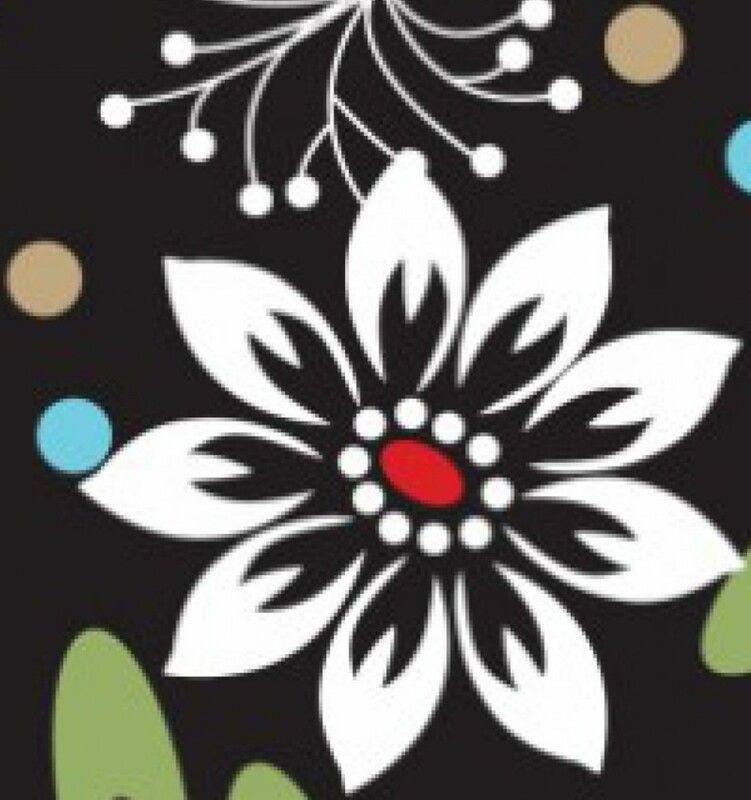 Another example of this can be seen here from a previous post. Long live the LP! For a full tutorial and some examples of TV tray table redesigns click here and here. Who knew that LPs would ever have an upcycled lie? Amazing and fun to boot!